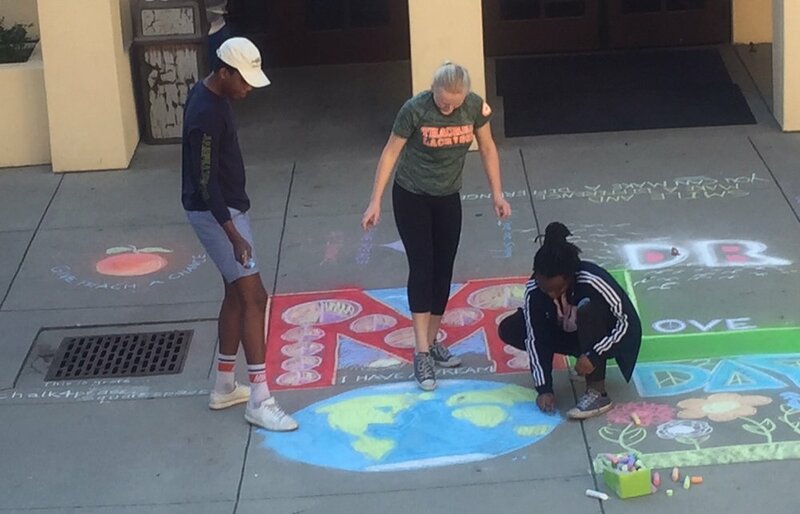 The Thacher School of Ojai, CA observed Dr. MLK, Jr. Day with a CHALK4PEACE event on Sunday, Jan. 14, their eighth experience doing C4P. 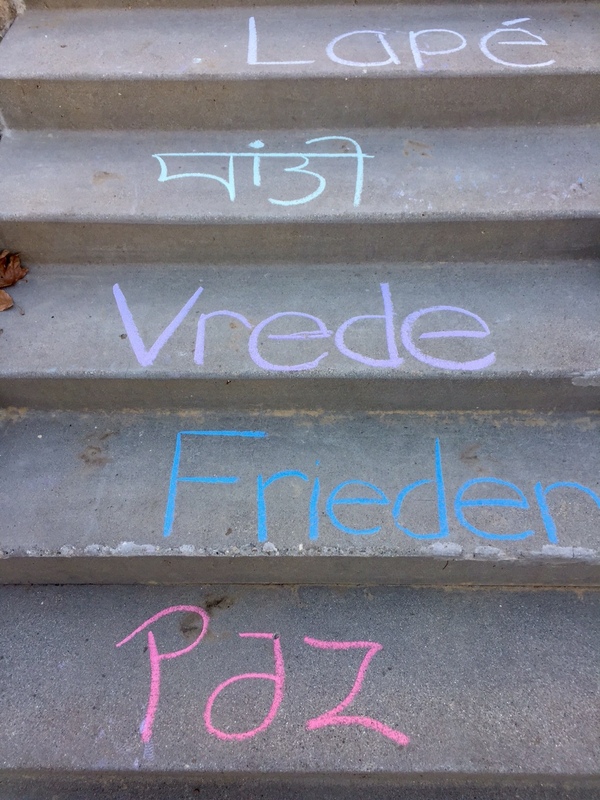 A small but mighty gathering decorated the Boswell Library Amphitheater, with different languages for "Peace" written on each step with flowers and quotes of peace growing out of the drawings. We thank Thacher for its steadfast dedication to observing the legacy of Dr. King with Days of Community Service, seminars, workshops and lectures discussing civil rights, equality and fundamental freedoms. 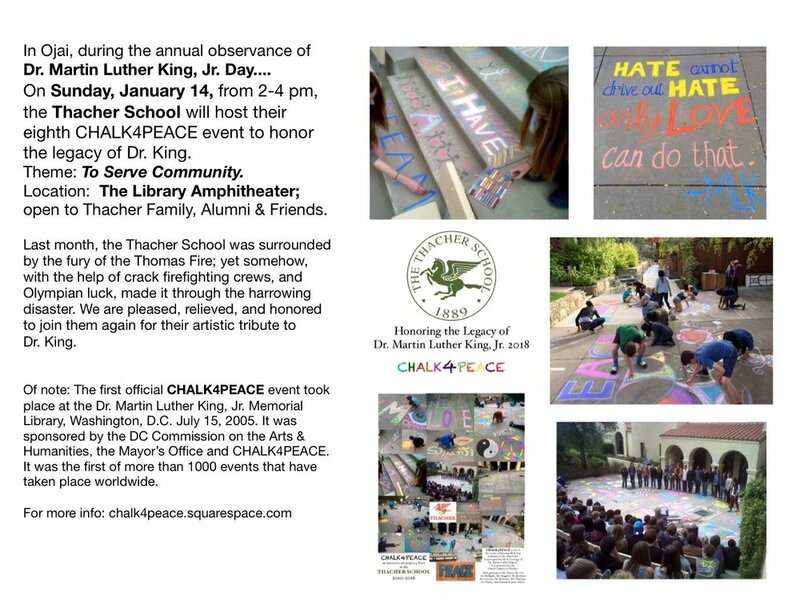 CHALK4PEACE is honored to be a part of their events honoring Dr. King.